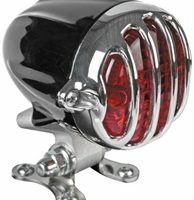 Alcatraz Motorcycle Tail Lights can be replacements for the stock Harley lights and can be installed on any chopper motorcycle, bobber and most custom motorcycles. 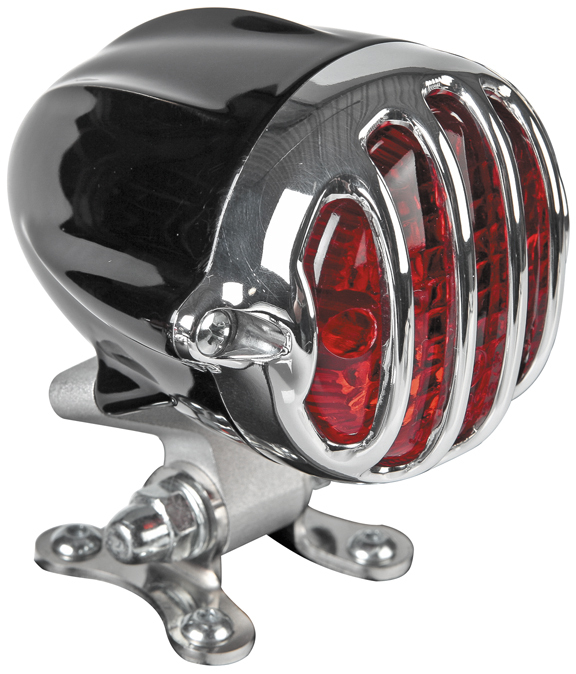 Our Alcatraz Motorcycle Tail Light housing and grill are available in different finishes, so you can get the custom look and color combination that best matches the style of your bike. 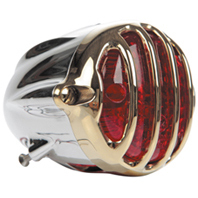 It will look great alone or combined with our Alcatraz Brass Motorcycle Headlight, Alcatraz Motorcycle Speedo Housing, Ring Motorcycle Speedo Housing, De Luxe Retro Motorcycle Brass Hand Controls, De Luxe Brass Cable Motorcycle Hand Controls and Nostalgia Carburetor Cover. Taillight included. 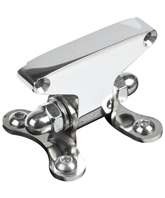 Mounting bracket is sold separately. 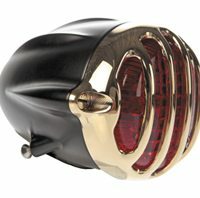 On some components we offer both finishes, on some others just the polished finish. 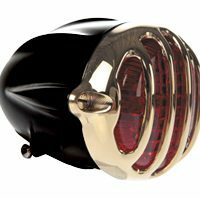 Alcatraz motorcycle taillights come only in polished finish, which in any case you can easily brush with some fine sand paper. 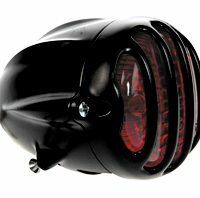 Do the alcatraz taillights include the guts and LEDS? I dont see any wiring in the pictures. Does the price mean they are sold in pairs? Do they come with instructions/wire color notations such as which is the ground, power, etc? Are they running, brake, and turn signals? all three? 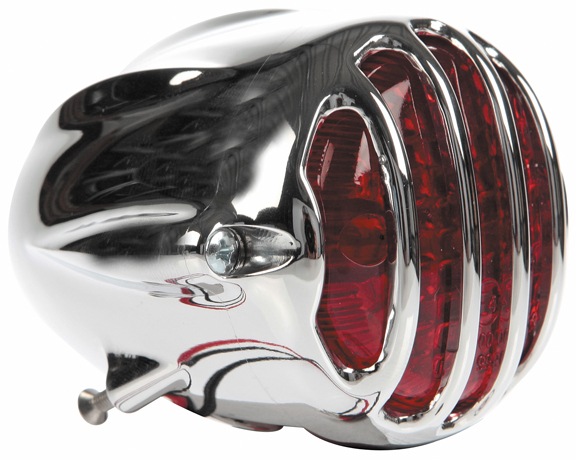 Thank you for your interest in Eurocomponents’ motorcycle tail lights. 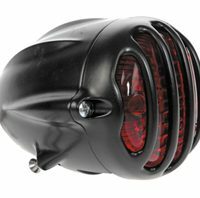 Yes, it is not just the housing, but also the taillight with LED’s and wires. 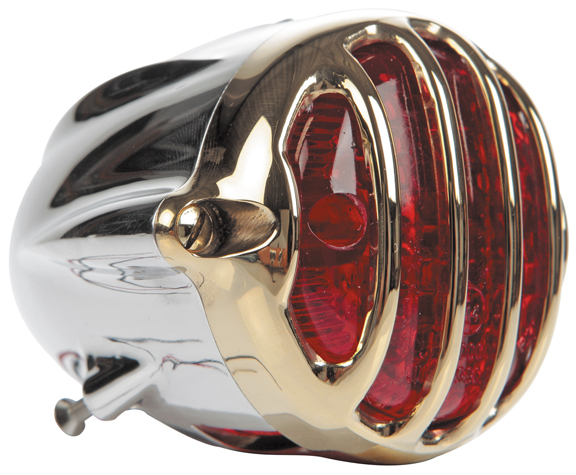 Alcatraz Motorcycle Tail Lights are sold individually, not in pairs. Yes, they come with wiring instructions. 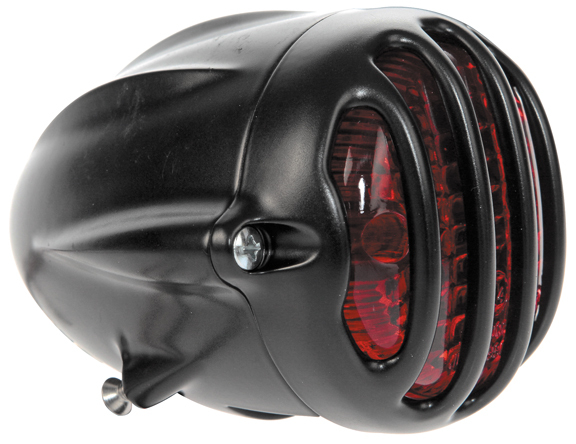 Alcatraz Motorcycle Tail Lights have to brightness levels: one for running light and one for brake light. Dudes, you people got some nice stuff. Here is where I am at with lights. 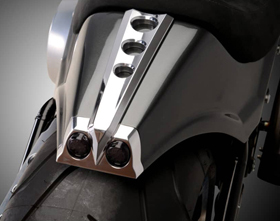 It’s a 2012 Streetbob and of course the look is chrome on black. I think the grilled look is awesome. With that said, I seen front chrome grill on black housing,Nice. 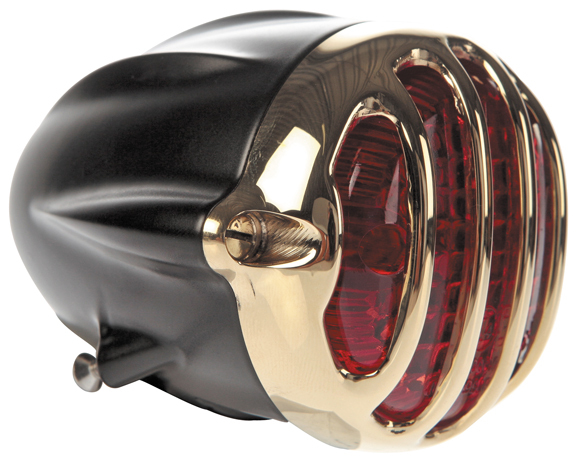 Turn signals front and back same other than amber in front and red in back. I really would like to move brake light off fender and put on side with vertical license plate holder. Unless you have an idea that would look good on fender. 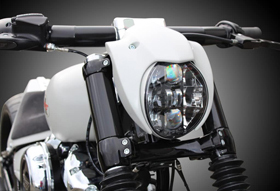 Thank you for your interest in Eurocomponents’ motorcycle lights. 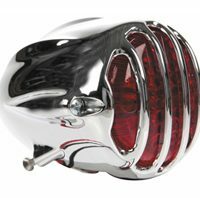 Unfortunately we do not make turn signals in that design.